A local band will soon team up with Estacada students to support their school district. At 7 p.m. Saturday, Oct. 21, The Casimir Effect, a six piece independent band that includes Estacada music teachers Daniel and Alexandra Czyzewicz, will be joined on the stage of the Estacada Auditorium by 10 local students. The event is sponsored by Estacada Together and admission is free, though any donations will benefit the arts programs at Estacada schools. "As a band, we love making music together and we love impacting young people's lives," said Alexandra Czyzewicz, a vocalist and violinist for The Casimir Effect. She is joined by Daniel Czyzewicz on vocals and guitar, Luke Kazmierowicz on vocals, Owen Hofmann-Smith on bass, Jacob Ignacio on drums and Jono Neher on piano. Alexandra noted that part of the inspiration for the concert was the enthusiasm of Daniel's students at Clackamas River Elementary and River Mill Elementary schools. "Some of our greatest fans are his students," she said. "They think it's super cool that their teacher is in this band. We wanted to give them a chance to not only come to a show, but participate in it." 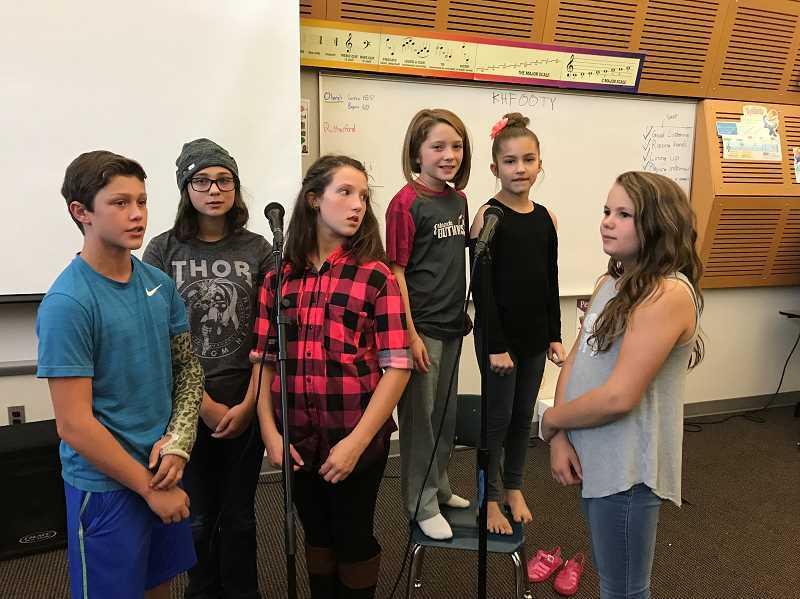 During the benefit concert on Oct. 21, five students from Estacada High School will play trumpet, trombone, saxophone and guitar, and students at the middle and elementary school levels will sing with The Casimir Effect. "It will be great to see young people involved," Alexandra said, discussing the students. "They're going to do such a great job. It will be the coolest thing." The Casimir Effect combines a variety of musical styles, including rock, pop and rap. For the benefit concert, they've selected some of their songs and added additional parts for the students to play. "There are a lot of genres we try to emulate," Alexandra noted, adding that the band's influences include Elton John, John Mayer, Jay-Z, Eminem, Lindsey Stirling, Adele and the Red Hot Chili Peppers. "A lot of our songs (focus on the message that) people may say you can't do something, but that doesn't mean you give up." The Casimir Effect released their debut album "Don't Blink" in 2016. Typically, they perform several shows each month around the Portland region. "All of us just playing together and being in the band is a dream," Alexandra said. "Whether we're on the stage or at rehearsal, we're making our passion an active part of our lives." The band is excited about the upcoming benefit concert. "We're hoping to have as many people walk through the door (of the Estacada Auditorium)," Alexandra said. "Our goal is to impact young people in a positive way."